The Games have finally started, as you well know, meaning that there are now scheduled athletic events – meaning people get to turn up to see them. The problem is that too many are failing to do so: 92% of event tickets have been sold (that number itself is a separate issue worth discussing), but so far only 81% of those ticket-holders have attended the events they had paid to see. How can that be? I mean, that’s why they traveled to that God-forsaken sub-tropical town on the shores of the Black Sea in the first place! It’s hard to think of any on-site distractions that could have diverted their attention elsewhere – OK, maybe some might have found themselves locked in their bathrooms, but you have to presume that would have affected only a few. To Games spokeswomen Alexandra Kosterina, the cause is clear: a “problem with the Russian mentality,” by which she means too many people think they can show up at events just at the last minute! Don’t they realize that there are all sorts of security formalities to take care of before one can be admitted? First of all, it’s curious how she paints all spectators – Russian and non-Russian – with that “Russian mentality.” (Surely there are some Germans there, too, for example.) Nonetheless, she is probably correct in pinpointing the problem: as Seegers points out here, visitors are checked “several times” before being granted admission, and an accurate awareness of the necessary measures to take in response (analogous to “Be sure to show up to the airport at least three hours before your flight!”) no doubt is only slowly taking hold. Still, this “We don’t have a problem, it’s you that has the problem!” attitude is what is notable to me, even though we’ve already had the occasion to see it here at Sochi. “It’s not us – it’s you!”: There’s your true motto for these Olympic Games! Then there is also this. Remember, we all live in a Brand, Brand World – and Samsung is part of that world when it comes to the Olympic Games, both for the Sochi Winter Games as well as for both Summer and Winter Games in the past. That’s the good part; the bad part is that Samsung doesn’t want to see at Sochi any phones from competing brands, which did not pay for Olympic rights. Now, they have not been granted dictatorial powers to ban any competing mobile phones from the Games (although, in this Russian context, such a measure is surely not unimagineable). Just what they have been allowed to do is still somewhat unclear, but it seems to have extended to at least making any athletes who do carry iPhones tape over the Apple logos durig the opening ceremonies. Again, that’s the athletes – and hey, they’re getting new Samsung phones for free! – not any spectators. And the MFD piece further links to an English-language Slashgear article for corroboration. “What’s that all about!” you might ask. It is a pretty poor good-bye present, don’t you think? Why couldn’t the Senate just have handed the ex-President a nice necktie, or maybe a gold pen? But OK, this is fairly easy to explain in an American context, for those out there with long-enough memories. You might recall that the dying days of the Clinton Administration, back in early 2001, were rather by the ridiculous pardons Bill Clinton started handing out, most especially to Marc Rich, the financier who had made sure he was out of the country when he was indicted by the IRS for tax evasion. Well, Václav Klaus did much the same thing as the end of his presidential term started to come within sight.around last New Year’s Day. He issued a wide series of pardons which mainly went – in a similar manner to Marc Rich, funnily enough – to businessmen guilty of abusing the Czech Republic’s system of “coupon privatization” for disposing of State-owned properties back in the 1990s, by “tunneling” many of those companies, i.e. systematically stealing their assets, sucking them dry, then escaping to foreign lands with well-stocked Swiss bank accounts. It’s no coincidence that by far the major actor involved in getting coupon privatization going was then-Premier Václav Klaus. Senát schválil ústavní žalobu na Václava Klause. Z 68 přítomných senátorů pro žalobu hlasovalo 38, proti 30. Right, the vote among Senators was 38 in favor, 30 against. This probably isn’t about Klaus actually ever going to jail, though. Just as elsewhere, impeachment is mainly a matter of removing a sitting President who can be shown to have violated the law in a serious way. Conveniently, the Senate waited until Klaus had already left office – but he still stands to lose the payments he is still due from being President (e.g. his pension, though he has other pensions) if he is convicted. BTW that same article has an instant mini-poll to the side showing 69% approving of the impeachment. Those numbers might change by the time you access that page later. So Václav Klaus, second President of the Czech Republic, is not just going to fade away into the sunset; the Senate won’t let him. Things could get exciting! České zpravodajské servery čelí druhé vlně počítačových útoků. Weby iDNES.cz tak mohou být opět problematicky dostupné. Situaci řešíme. That’s right, they’ve been hacked! There’s a lot of that going around among news organizations these days. Should you desire to access their website, it might not be working quite yet. CORRECTION: Klaus has not yet left the Czech Presidency, his last day is 7 March 2013. So the Senate’s action has caught him in the last days of his term. Naturally, there is hardly enough time to resolve the treason charges during his remaining time in office, so this impeachment cannot have the effect of removing him as president. But don’t despair: it depends on what you call “marmalade,” as we learn from a recent article from Mladá fronta dnes. The European Commission is quite strict about what it allows to be called marmalade. That is one of the EU’s protected food designations – like “champagne” or “Parma ham” – so the Commission has demanding requirements: “marmalade” must at all times be made only of citrus fruits, and must have at a minimum 20% of actual fruit content. A certain Czech foods company called Hamé realized it was about to get into trouble (e.g. incur fines) for calling some of its fruity breakfast-spread concoctions “marmalade” and so filed an appeal to be allowed an exception. That was rejected; the choices for the label are to be only “jam” (džem) or jelly (rosol). But it might still be what you yourself regard as “marmalade”; you’ll have to examine the label – yes, it will be in Czech, so instead just take the plunge and purchase a likely-looking jar and go home and see! So now the Czech public can savor – if they haven’t had the chance before – the sort of laughable instance of EU interference in their everyday lives that people in older member-states have been complaining about for years. The thing is, that’s precisely the wrong audience, given the pronounced anti-EU attitudes already prevailing among many leading Czech politicians, notoriously headed by President Václav Klaus himself. Finally, I mentioned that the Commission was “quite strict” about its protected designations, but that’s not quite true, even in the case of “marmalade”: in Denmark, Greece and Austria you can find products with that designation which do not meet the citrus fruit/20% content requirement. But that’s because the respective governments were careful to get their marmalade exemptions as their countries were becoming member-states, i.e. back when they had a little more leverage. The Czech authorities didn’t think of that back in 2004 when the Czech Republic entered the EU – they were busy defending designations a bit closer to home, like slivovice, a potent fruit-based alcohol. It’s the make-or-break EU summit, going on now within the cavernous Justus Lipsius European Council building in the Brussels European Quarter. Will what issues from this conference be enough to save the euro? The answer to that remains up in the air, as the summit continues into the weekend. What we do already know, however, is that an important split has occurred within the EU, resulting from the failure of German Chancellor Merkel and French President Sarkozy to have accepted by all 27 member-states their proposals for greater national budget control and coordination. Now the action on that front has shifted to the group of 17 member-states who actually use the euro. The excellent “Charlemagne” commentator from the Economist has already termed this development Europe’s great divorce, in an article (in English, of course) featuring at its head a picture of the defiant-looking British PM David Cameron pointing an aggressive finger towards the camera. And indeed, this one and many other press reports from the summit would have their readers believe that the UK is isolated in its stand of resistance against those “Merkozy” proposals for greater EU power over national budgets. That is certainly also the message from the authoritative German newspaper Süddeutsche Zeitung, where an analytical piece from Michael König is rather dramatically entitled Bulldog Cameron bites the British into isolation. Turns out, if you like, that you can blame everything on European vacation syndrome (e.g. “No one touches my August holiday!”): EU leaders want to quickly carry out changes from summit, that way they’ll calm markets is the headline here. “Summit”? That’s the one they just had, of course, an extraordinary convening in Brussels on July 21 in reaction to the Italy/Spain funding troubles. “Changes”? That has to do with the European Financia Stability Facility (EFSF), which leaders at that summit agreed would be beefed up to better be able to intervene to assist eurozone member-states in financial need, eventually even becoming a sort of European Monetary Fund. Pssssssst – looking to wreak some mayhem? Maybe a stag-party the likes of which has ever been seen? Well, turns out the police in the Czech Republic are running seriously short of ammunition for the 9mm handguns. This bit of helpful information has just recently been revealed . . . by Mladá fronta dnes (on-line idnes.cz), merely the top-circulation mainstream newspaper in the whole country! The police are struggling with a shortage of 9mm ammunition, which is fired by the service-pistols of practically every officer of the law. Police commanders assert that a disturbance in the procurement procedure is at fault and that they’re already preparing a new one. Meanwhile well-supplied police agents are sharing with those having trouble with their supplies. So go ahead, head on over there, find some outlet ready to sell/rent you some firearms (harder than in the US, but by no means impossible), and go to town: you’ll surely out-gun the local authorities. Especially after you realize, along with me, that that picture of a well-filled box of ammo at the top of the on-line article indicates no relief: those are military rifle-grade rounds, not pistol ammunition. Of particular interest in that program was the interview it included with former Polish general Czesław Kiszczak, who headed the Interior Ministry of that then-Communist country from 1981 through 1989 – thus for the entire period of martial law that was initiated in mid-December 1981 in response to the growth in popularity of the Solidarity movement. General Kiszczak was willing to openly admit that Communist Poland provided shelter and weapons to Palestinian terrorists on the lam during the 1970s and 1980s, including to Abu Nidal, head of the Black September group which was responsible for the hostage-taking and massacre of Israeli athletes at the 1972 summer Olympic games in Munich, among other incidents. “We closed our eyes to the fact that they came to Poland to recuperate and equip themselves for further terrorist actions,” Kiszczak admitted. Poland was also quite willing to help with such preparations by selling these militants as many weapons as they wanted. Abu Nidal was even allowed to run a business in Poland – known by the name or abbreviation “SAS” according to the MFD account – for a while in the 1980s. 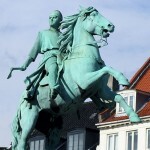 Former Polish president Wojciech Jaruzelski (thus Kiszczak’s colleague and immediate superior) was also interviewed for the program, according to De Standaard’s account. He could not recall anything of the sort happening. The pirate threat in the Gulf of Aden and off the Somali coast is still very real, and Denmark recently was given the opportunity for the very first time to be in charge of the collection of NATO frigates (currently four) conducting anti-pirate operations in that area under the name Operation Ocean Shield. From January 25 Danish fleet admiral Christian Rune took over command, as his flagship Absalon set sail for the area after a stop in port at Muscat, the capital of Oman. He will stay in charge until March. Was Swine Flu Just a Hoax? Just months after rushing to order enough swine-flu vaccine to protect their citizens, European governments are canceling orders and trying to sell or give away extra doses as they sit on a glut of the vaccine. The main reason: European health officials decided that only one shot per person was needed, instead of the two originally planned. Actually, there may have been another reason, as announced in the headline of the Czech Republic’s largest-circulation mainstream paper Mladá fronta dnes: Expert: Swine flu pandemic is a swindle by the pharmaceutical companies. That’s right, it is alleged their profits were not all that they should be, so the drug companies manufactured a crisis to pump up sales revenue by at least millions. But who is the “expert” making this claim? His name is Wolfgang Wodarg, and he is chairman of the Health Committee of the Parliamentary Assembly of the Council of Europe. (Note: that has no direct connection to the European Union, it’s a completely separate – in fact, earlier – organization. I know, it’s confusing . . .) And it seems that that Parliamentary Assembly will debate this question later this month, so maybe we’ll hear more about it then and become better able to judge. Fortunately, the MFD article cited another piece giving all the details in the UK’s Daily Mail, so you can read about them there. But it also links to an article it published itself (i.e. in the Czech paper MFD) last July, about how the prominent Czech politician (and former Minister for Health) David Rath was also of the opinion that swine flu was just some sort of fraud for the benefit of the drug companies. Don’t Look Now – Don’t Look Ever – But New Miss Saudi Arabia Crowned! Oh joy! Longer-term €S readers will remember all the way back to May, when I first brought you word in this space about the “Miss Saudi Arabia” pageant. Due to the . . . er . . . somewhat different nature of that extravaganza’s judging-process, it takes rather longer than your average beauty pageant. But now this year’s winner has finally been crowned, and that is eighteen-year-old Aya Ali Mulla. I had not really been on the look-out for any sort of follow-up to May’s story – I promise! – but my RSS feeds nonetheless came up for me big-time and alerted me to recent coverage of that pageant’s outcome from the Czech press, namely from Lidové noviny and Mladá fronta dnes. These articles are (almost) the same, as they both are by-lined to the same Czech press agency piece. For example, they have similar headlines: “Saudi Arabia has new Miss, but no one has seen her” and “Miss Saudi Arabia’s face seen only by female jury-members,” respectively. Naturally, both Czech papers ultimately refer back to the Saudi press for coverage of this marquee event, but have to report that no Saudi paper was actually able to state what it was about Ms. Mulla* that catapulted her to victory. It was easier just to report what she won: an amount in riyals that, from the Czech-crown equivalent that is cited, seems to be just under €1,000; a pearl necklace; some diamonds (mounted on what, is not revealed); a wristwatch; and a paid vacation to Malaysia, which, although of course another Islamic land, is a pretty nice place to visit, I’ve heard. There’s also further detail here on one of the event’s key competitions, the “How much do you respect your mother?” event: apparently contestants each spend an entire day out “in the country” with their own mother, under the observation of one of the jury-members (wielding a clipboard, no doubt). I say, get coverage of that on the X-Games channel, pronto! The Czech papers are able to contribute some added detail, perhaps somewhat wistfully, about another beauty pageant held in the Arab world that does actually conform a bit more tightly to what most of the rest of the world understands by the concept, namely the one for Miss Lebanon, where the girls do actually appear in swimsuits (one-piece only, though) and in evening gowns, and are interviewed in front of an audience. In contrast, returning again to Saudi Arabia, the LN article states “Beauty competitions there only have to do with goats, sheep, camels, and other animals” – despite the considerable effort required each year to get the camels into their one-piece bathing-suits! [Cymbal crash] No, that last part I made up myself . . .
*Quite a suitable name, eh? No, I’m not making it up, click through above to the articles and see for yourself if you want. But don’t be fooled when you see the winner’s last name as “Mullaová”: that last “-ová” part is added routinely in Czech, Slovak, and some other Slavic languages to women’s last names. The popular Czech daily Mladá fronta dnes shows how determined it is to stay on top of key events, wherever they might be occuring in the world, with its recent article Pow to the nose! And where’s the ring? Pair from New York wed in a state of weightlessness. Yes, it’s the story of that wild-and-crazy guy-and-gal from Gotham who recently set a mark of some sort by becoming the first (known) pair in history to marry in zero-gravity. They achieved this by arranging for the ceremony to go down (so to speak) in the 27-meter cargo-cabin of “G-Force One,” the Boeing 727-200 owned by a company that enables people to experience weightlessness – for more-extended periods than, say, on a roller-coaster – by constantly diving while in flight. Apparently the bride, one Erin Finnegan (“Erin Finneganová” in Czech) had been to too many boring weddings and so let her imagination take flight when it came to contemplating the details of her own. Oh, and MFD has three excellent photos of the ceremony on the article’s webpage itself, accompanied by this excellent supplementary photo-series. After Barack Obama finished up his speech on Sunday to the tens of thousands present on Prague’s Castle (Hradčanské) Square, he decided to wade into the crowd a bit. In the process, one enthusiastic Czech got so close as to pat the head of the Most Powerful Man on Earth. That person who lightly touched the president on his hair I know. We already encountered him a couple of times at previous visits of the American president Bush and at a visit by Mrs. [Condoleezzaa] Rice. He is just enthusiastic about such visits and loves them. He’s definitely not dangerous. The article goes on to note that, when Jaroslav Suchý is not tracking down and applauding high-ranking American officials, he is pursuing a case in the Czech courts seeking compensation for being forced to attend “special schools” (i.e. schools for the handicapped), which he claims he was forced into solely because of the color of his skin. 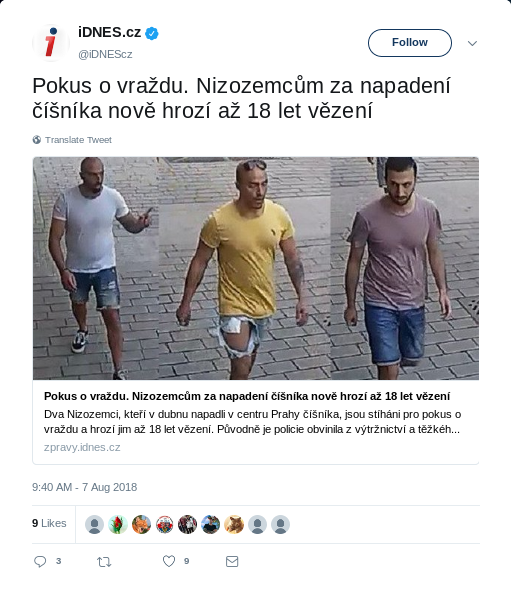 Perhaps some of you, examining the article’s photos again, may think this is some sort of joke, but it likely is not: the Czech Republic does still have an ethnic-discrimination problem, although it is not directed against black people (who are exceedinly rare) but against the Romany, or “gypsies.” So apparently the authorities where Suchý grew up kept classifying him as a gypsy. Klement, You Were the Weakest Link! 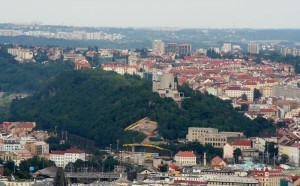 All visitors to Prague will eventually encounter Vítkov Hill (pictured here), which forms one part of the boundary between Prague 8 (Karlín, on the south bank of the Vltava river, to the left side here) and Prague 3 (Žižkov). You can’t miss it because 1) It’s a massive, stand-alone hill near the center of town covered almost entirely by trees, and 2) At its western end (that is, closest to the city center, that we can see here), it features a massive equestrian statue – the largest in the world – of Jan Žižka, the one-eyed general of the Hussite Wars. Just beyond that statue is another gigantic building, the National Mausoleum, intended to be the resting- (and exhibition-) place for the remains of Czechoslovakia’s leadership throughout the glorious thousand-year epoch of Communist brotherhood that was supposed to have been inaugurated by the coup d’état in Prague culminating on 25 February 1948. Much like Lenin in Red Square, the mummified body of the leader of that coup , Klement Gottwald, was in fact exhibited at the National Mausoleum from shortly after his death in March, 1953, until 1962 – when it had reached such an advanced state of decay due to the mishandled mummification process that it had to be cremated. So how are you going to spend your upcoming Christmas holidays? Curled up with a stack of books? Yes, it’s true that Xmas customs vary widely from culture to culture, but if you’re Czech it seems pretty likely that that’s exactly what you have planned, if we can go by an interview just published in Mladá fronta dnes (If Czech, then book-lover: According to survey Czechs are among the most-active readers). The important thing to note here is that, while this is so far only a legislative proposal, it is certain to become Russian law, given how packed the Duma is (two-thirds) with supporters of the Government, specifically with members of the ruling United Russia party. But it goes even further, also outlawing any provision of financial, material, or technical aid or advice to “suspicious” foreign organizations. What makes a foreign organization “suspicious”? When it is after state secrets. In practice, this means that Russian citizens can get in trouble even for talking with foreigners, and certainly for contacting any outside journalists. Back to the subject of Iceland, which holds the doubtful distinction of occupying the current financial crisis’ leading-edge of economic suffering. 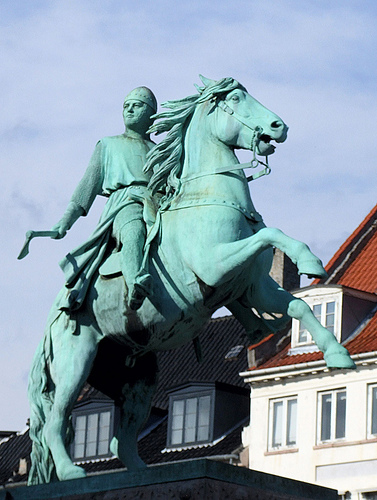 As the FT recently reported, that country’s monetary authorities have now had to raise interest rates for the Icelandic krona to a record 18% as one condition for receiving what is still a “proposed” $2 billion loan from the International Monetary Fund. The future will seemingly bring a 10% contraction of the economy there, with simultaneous 8% unemployment and 20%-plus inflation. It’s the “Czech Republic” – Get It Right! Oops, he did it again: At a press conference last Monday, John McCain made reference to the Russian government cutting off energy supplies to “Czechoslovakia,” a country that has not actually existed since it split apart into the Czech Republic and Slovakia as of 1 January 1993. And it’s not like that was the first time he has made this mistake. So You Think You’re So Smart . . . Calling all intelligence test devotees! You think you’re pretty good? Are you up for a new challenge? How about an IQ test in Czech? Mladá fronta dnes offers you one here. Actually, it shouldn’t be that intimidating. Of course you’re wondering what question one is all about: all that explanatory text and then only one choice for an answer, labeled “START.” What that’s about, is that you get 52 points (out of a possible maximum of 142) for free, just by checking that box. They need to do that to calibrate the test, it seems; the final score you get in the end should correspond to the real IQ it reflects. Going on: Really, you should give this a shot, it’s often easy to understand the questions – which are often expressed numerically – and then it’s often easy to answer. For example, question 4 should be clear: what is the next number that belongs in the series “16 – 34 – 70 – 142 – 286 – ?” Anyway, good luck. Slainte! to a New EU Official Language? As we get very close to Christmas, much of the press that I monitor is getting rather insular, if not downright silly. (Like how about the photos of six famous Czechs and their born-in-2003 babies on the very front page of today’s Mladá fronta dnes (PDF format)?) I guess this is the time of year when nothing much is supposed to happen – at least now that there aren’t that many naughty Communists around, who invaded Afghanistan and then Vietnam in successive Christmas seasons back in the 1970s.